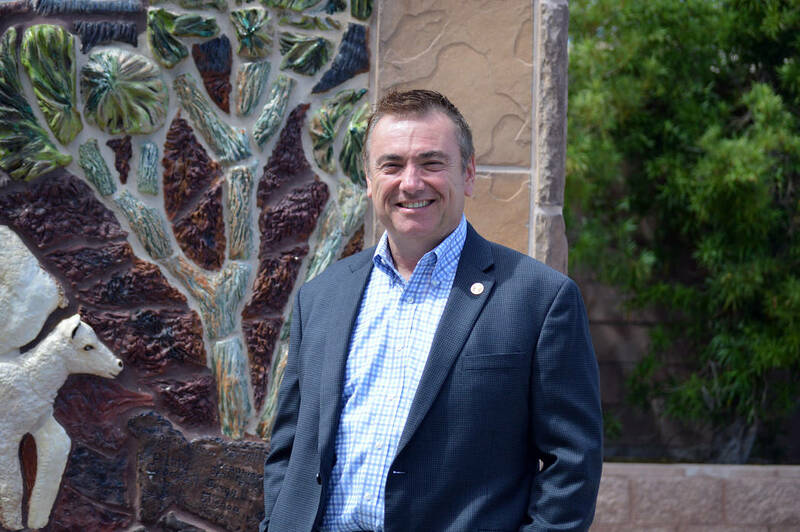 Celia Shortt Goodyear/Boulder City Review New City Manager Al Noyola is enjoying the community and getting to know the people in it. He's been on the job for almost three months. His objectives for the coming year were part of his annual report, which was presented to the City Council recently. “I think it is important for the city manager to communicate to the council what was accomplished in the last year and what is coming ahead in the next year,” he said. A major item Noyola wants to accomplish in 2019 is to create a structure for how the city preserves its historic assets. First, he said, the city must have a plan for preserving its historic properties because that will dictate what the standards will be. Once the plan is created, the city will work to identify the properties and how to maintain, improve and restore them. Noyola, with staff, also plans to start implementing Boulder City’s new strategic plan. “Everything will not be done in year one. … I am trying to layout the plan over five years,” he said. The City Council unanimously approved updating Envision 2020, its strategic plan, and extending it through 2025 at its meeting Dec. 11. Management Partners had been hired to help with the project, obtaining input from community members and city employees through an online survey with two public meetings and two staff workshops. Noyola said he will explain how staff will implement the strategic plan to the council in February. Out of all his goals for 2019, the one he said he is most excited about is boosting the community’s confidence in the city’s leadership and staff by ensuring decisions and recommendations city leaders and staff make continue to be fully researched. Noyola said he also wants to update the city’s municipal codes, which were written about 30 years ago, to make sure they do not contradict the Nevada Revised Statutes. “We can’t have things going against state and county law. … Also, we can see where there are opportunities to improve,” he said.